Holy stuff! Lego’s Ideas program lets amateur builders submit ideas for new sets, and if it gets 10,000 votes from fans, the company will consider making it a reality. And this morning Lego revealed one of the next sets it’s officially putting into production is aBetterMonkey’s Adventure Time creation. At this point there are absolutely no details on when the set will be available (late 2016 if we’re lucky), how much it will cost, or even what the final version will look like. 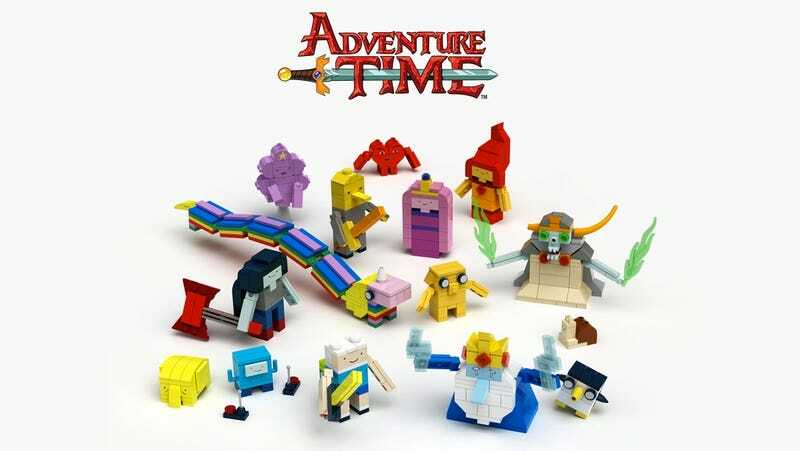 aBetterMonkey’s creation uses basic Lego bricks to recreate some of the animated series’ best characters, but Lego’s own team of designers improve each Lego Ideas creation before they’re available for sale, and the company may very well just create Minifigure versions of Finn, Jake, PB, and LSP before they start popping up in stores. No matter what they do, though, all that’s important is that Adventure Time has finally been given the Lego nod.